The apex court said that law and order was the subject matter of states and it cannot stop people from taking out any such movement. 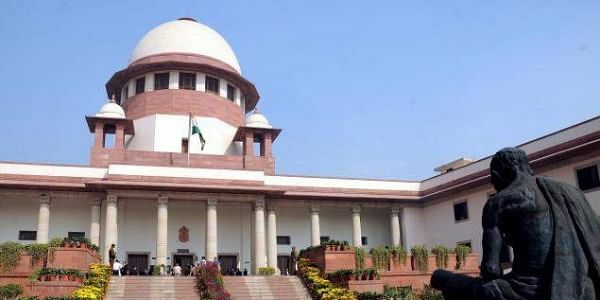 NEW DELHI: The Supreme Court today refused to entertain a plea seeking to restrain 'Bharat Bachao Yatra' or 'save India march' to give a message on population control to be undertaken by the Editor-in-Chief of a vernacular news channel. A bench headed by Chief Justice Dipak Misra declined the plea against the proposed Yatra of Suresh Chavhanke, chairman and managing editor of Sudarshan News channel, saying that law and order was the subject matter of states and it cannot stop people from taking out any such movement. "We cannot stop people from movements. State governments will act if there is any law and order situation," the bench also comprising Justices A M Khanwilkar and D Y Chandrachud said. Senior advocate Sanjay Hegde, appearing for petitioner Krishna Raj Tomar, alleged that the proposed Yatra would create disharmony in the society and hence should be stopped. The bench was disinclined to entertain the petition, leading Hegde to withdraw it. Chavhanke has proposed to carry out the Yatra in a bid to spread awareness among the masses about population control.